This year’s ‘Roll up the Rim to Win’ cups display the prizes more prominently surrounded by colourful confetti. 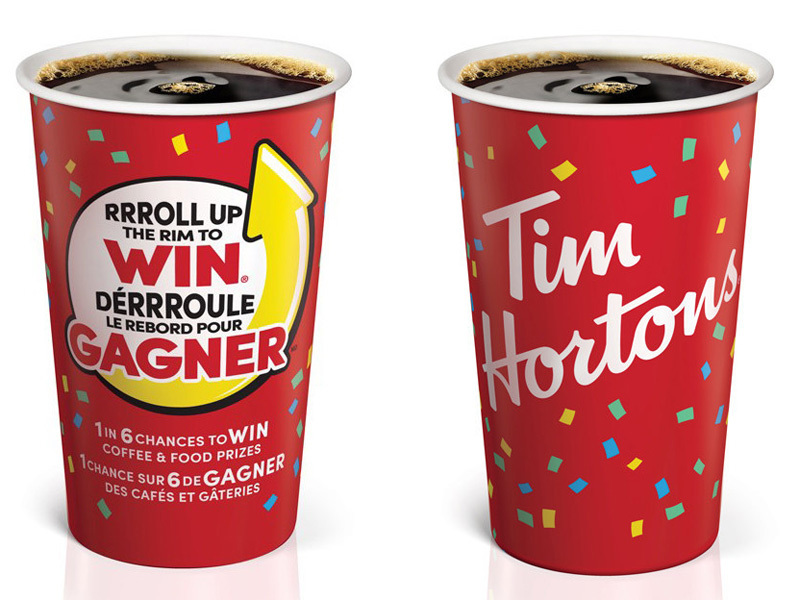 Tim Hortons ‘Roll Up the Rim to Win’ contest starts today. The food-service franchisor has partnered with Jeep for the first time, giving its customers the opportunity to win one of 40 new Jeep Compass compact sport utility vehicles (SUVs). To complement this year’s launch of the contest, Tim Hortons has released a ‘thumb workout’ video on its social media channels, which features different thumb exercises set to music. Roll Up the Rim to Win runs until April 17, 2019, or until cup supplies last. Prizes can be redeemed until May 3, 2019. 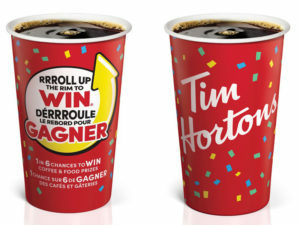 Contest rules, odds of winning, and prize information can be found at participating Tim Hortons restaurants or at www.rolluptherimtowin.com. Customers can even join the conversation on social media by using the hashtag #RollUpTheRim.